Atlas, a new software sampler from the minds of Algonaut, is based on AI and gives users a way to navigate sample libraries and create instant beats with ease. Is AI based sampling the way of the future? When the results are as amazing as this, it’s hard to argue otherwise. Atlas makes it easy to create beats and experiment endlessly with your own sample libraries. In and of itself, a new software sampler may not raise too many eyebrows. What makes Atlas different however, are the changes it offers in sampling workflow. Beatmakers will be familiar with aimless scrolling through interminable columns of kick drum (or snare drum, or handclap) files – whose main identifier might only be a generic numbered suffix. Atlas collates all your local samples and organises them into a map, with “continents” of different instruments. 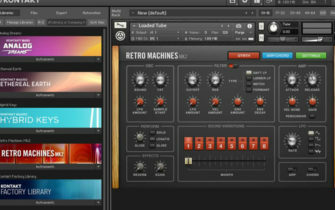 The individual samples can be dragged and dropped into a sequencer of your choice. Yet when you click on the “randomize” button, it will organise a kit for you. When you couple this function with the ability to like or dislike samples, Atlas will learn your tastes and give you the ability to hone in one tasteful sounds. For more information, head over to Algonaut.